*Would you like a Hatching Basket for shelf 5? *Would you like a Hatching Basket for shelf 6? *Would you like a Hatching Basket for shelf 7? *Would you like a Hatching Basket for shelf 8? 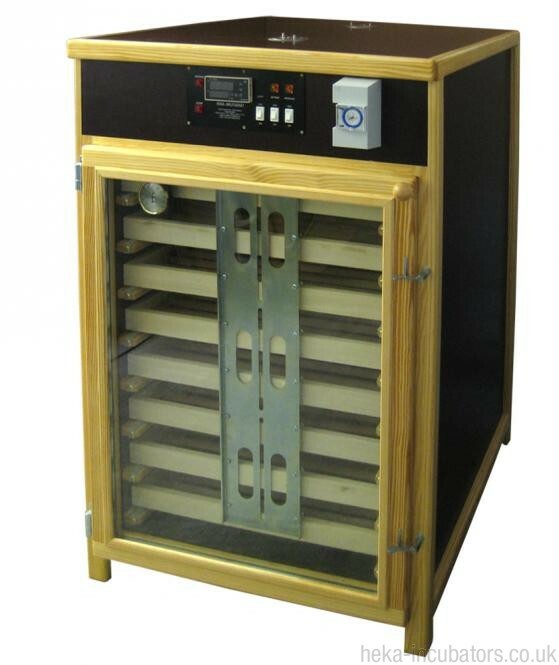 The HEKA Standard Jumbo XL has eight incubating trays, which are larger than the HEKA Standard 12, giving a total capacity of approximately 1500 chicken eggs. It is supplied with your choice of incubating trays (to suit a variety of egg types) and you can also purchase hatching baskets if you want to use it for hatching.